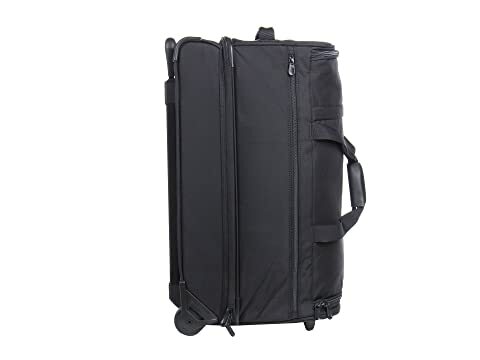 Enjoy the large capacity of a duffel bag with the convenience of wheeled luggage. 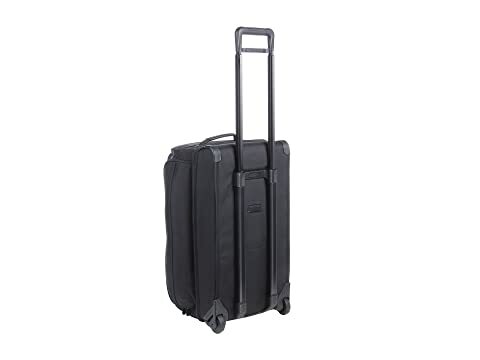 This Medium Upright Duffel is part of the Briggs & Riley Baseline Collection. 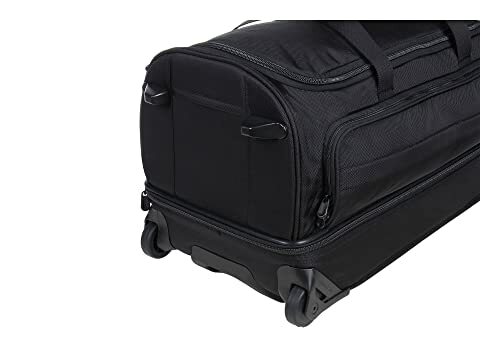 Large duffel and flat packing compartments may be used separately, or unzip the divider for one large main compartment. Ballistic nylon outer fabric resists wear, water, dirt and abrasions. Lightweight honeycomb frame provides flexibility, durability, and shape retention. Aircraft-grade aluminum handle system adjusts to four heights. 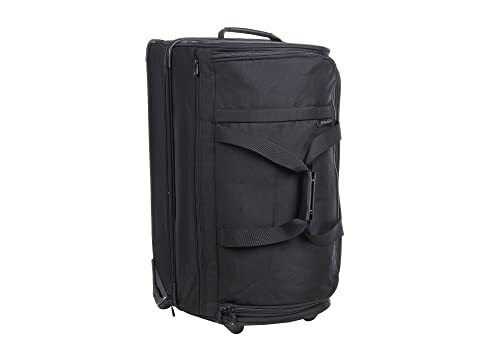 Webbing and leather top handle and webbing side handle with leather-wrapped snap closure allow easy, comfortable grab-and-go carrying. Self-repairing, durable YKK® zippers and ergonomic zipper pulls offer easy opening and closing of pockets and main compartment. Gusseted exterior zipper pocket for easy access to travel documents and more. 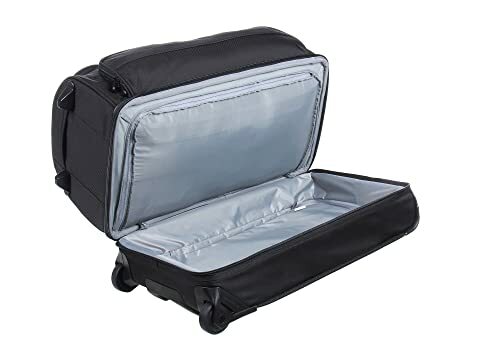 Flat packing compartment features two mesh zipper pockets. Smooth-rolling, low profile wheels and feet.